The Bard Medical Bardex Elastomer Coated Catheter 30cc - 24 FR is made from a hydrophobic material that rejects moisture. The silicone elastomer coating provides protection against urethral irritation. The Bard Medical Bardex Elastomer Coated Catheter 30cc is made from a hydrophobic material that rejects moisture. The silicone elastomer coating provides protection against urethral irritation. 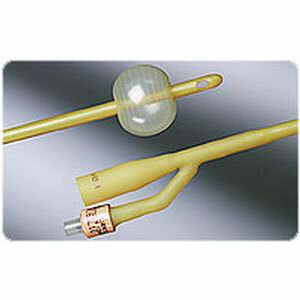 Contains 1 Bard Medical Bardex Elastomer Coated Catheter 30cc - 24 FR.